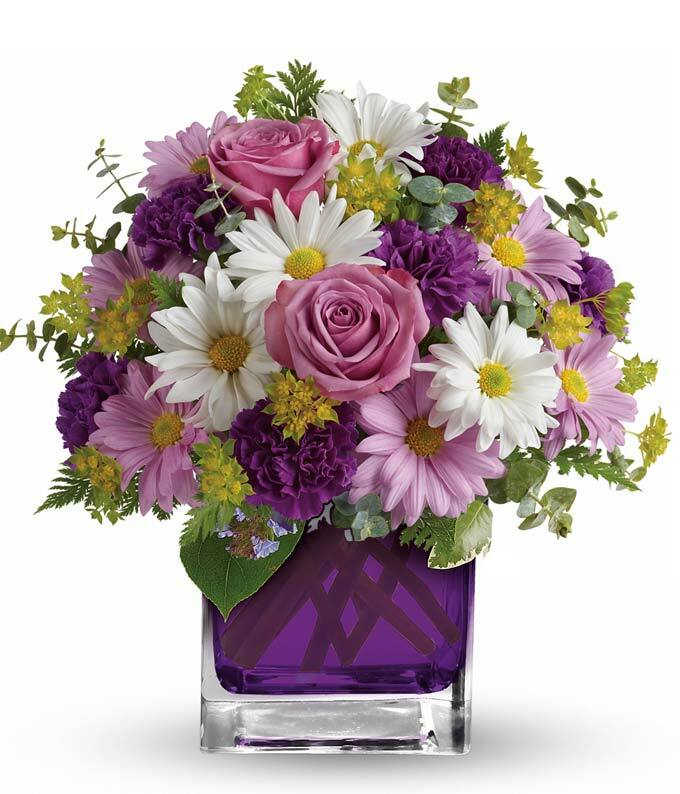 This charming bouquet of purple and white flowers will surely charm your loved one to pieces! They'll be thinking about you for days while the arrangement sits beautifully in their home or office. Hand-delivered by a local florist in a purple glass cube vase today or any special day in the future.